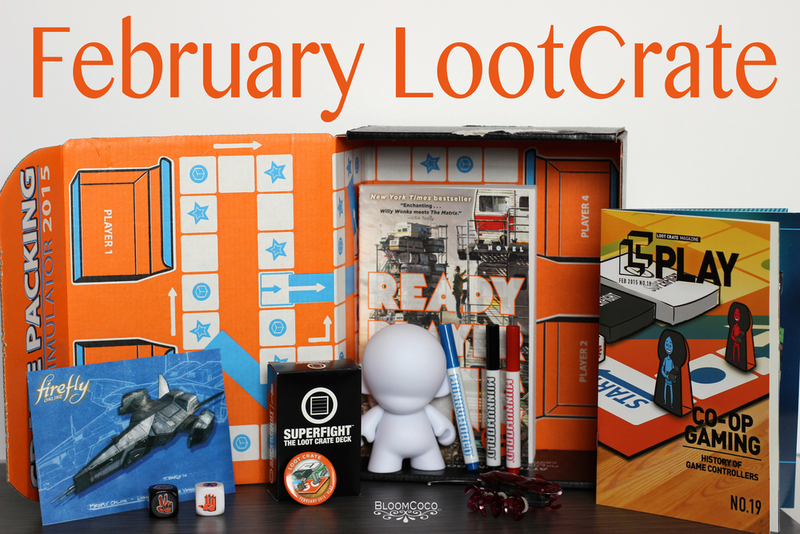 Erik and I are both Looters, we have a subscription to Loot Crate and we both love it! Each month I anxiously wait for my Loot; and every time that it arrives I feel like its Christmas and each month there is a possibility of receive a mega crate that has so many amazing products valued at over $2,000+. It is always filled with awesome products, and in some months there are shirts that are exclusive to Loot Crate and every time that I wear any shirt I am always complimented on it and asked where I got it from. Every month there is a different theme and so far every month has been amazing I just love it! Erik and I have a small competition hoping that I get it before him and he hopes to get it before me just to be able to see it first. This month’s theme was Play! and so many great items were included in the box, not to mention the box was also a game board and the Loot Crate magazine has the game pieces. I enjoy reading the Loot Crate magazine; it has all of the information for the products that are within the Loot Crate. 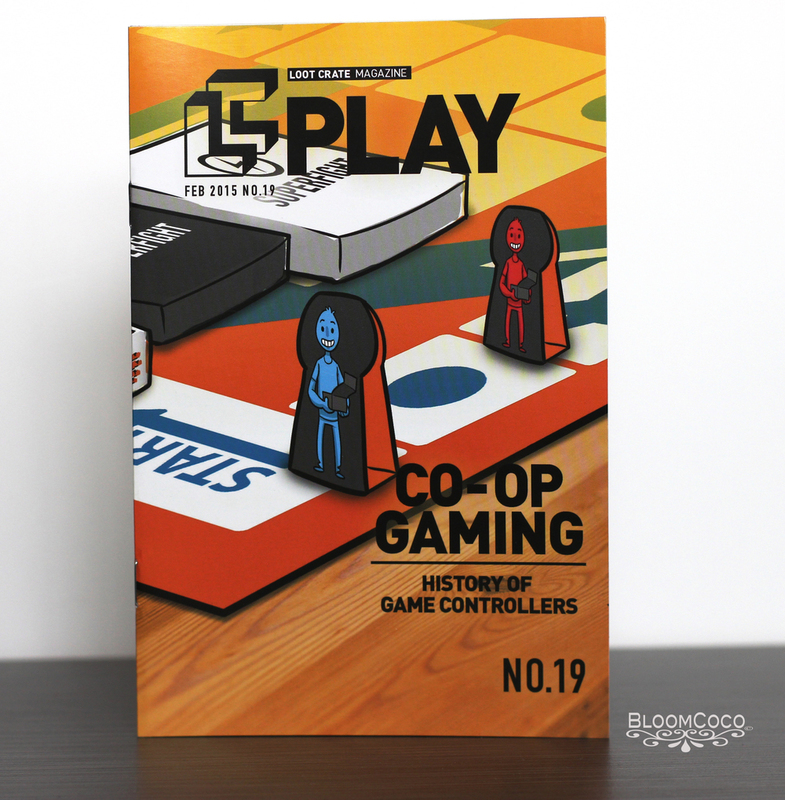 They also have interesting articles as well; also within each Loot Crate they have a special pin for that month on the first image you can see it resting on the SUPERFIGHT deck of cards I have all of my pins displayed because each one is unique. We were so excited for this month’s theme because both Erik and I are quite competitive when playing games and we enjoy playing board games or card games so it was perfect. 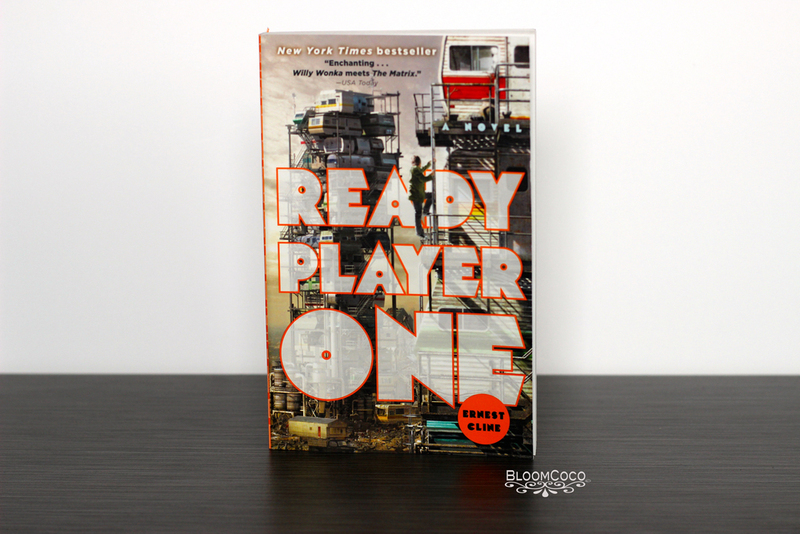 The Book was also a great addition to the crate I love to read and I always enjoy finding new authors and the story is great I am hooked I just cant put it down unless I’m reading my textbooks for school. This months Loot was fantastic and I really liked all of the items that were included the Hexbug is also one of my favorite things well in all honesty I really loved everything in this Loot. If this interests you I highly recommend getting it, it is fantastic!